The Jewish Labour Movement organisation have passed a vote of no confidence in Jeremy Corbyn, the Leader of the Labour Party. 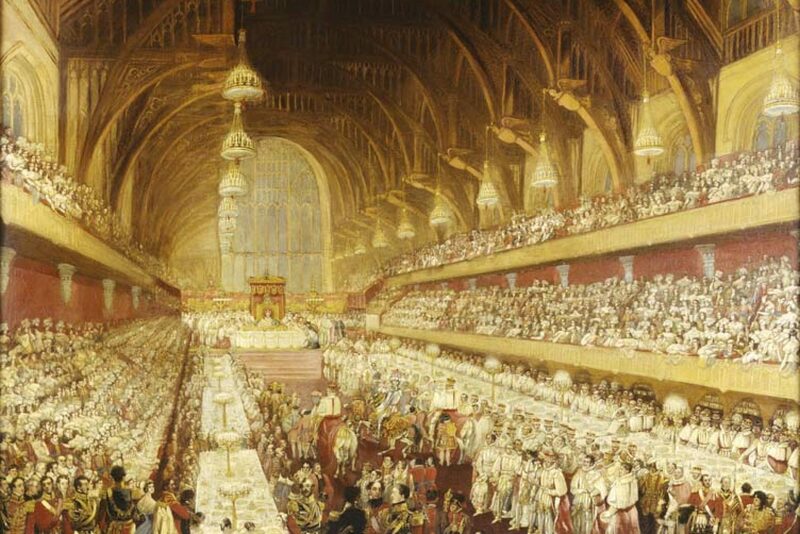 There were speeches made by Labour MPs Margaret Hodge, Ruth Smeeth and Louise Ellman before the members of the movement almost unanimously agreed with the motion of no confidence. Seven Labour MPs have quit the party mentioning the leadership’s lack of support for remaining in the European Union and for not tackling anti-semitism. The MPs will sit as independents and are Chuka Umunna, Luciana Berger, Chris Leslie, Angela Smith, Mike Gapes, Gavin Shuker and Ann Coffey. Jonathan Sacks, the former Chief Rabbi from 1991 until 2013, has launched an attack on Jeremy Corbyn, the Leader of the Opposition, saying that his comments in 2013 were “the most offensive statement made by a senior British politician since Enoch Powell’s 1968 ‘Rivers of Blood’ speech”. “We can only judge Jeremy Corbyn by his words and his actions. He has given support to racists, terrorists and dealers of hate who want to kill Jews and remove Israel from the map. When he implies that, however long they have lived here, Jews are not fully British, he is using the language of classic pre-war European anti-Semitism. When challenged with such facts, the evidence for which is before our eyes, first he denies, then he equivocates, then he obfuscates. This is low, dishonest and dangerous. He has legitimised the public expression of hate, and where he leads, others will follow. Now, within living memory of the Holocaust, and while Jews are being murdered elsewhere in Europe for being Jews, we have an anti-Semite as the leader of the Labour Party and Her Majesty’s Opposition. That is why Jews feel so threatened by Mr Corbyn and those who support him”. A spokesperson for Jeremy Corbyn said that “the comments are absurd and offensive”. There have been calls today for the resignation of Peter Willsman, a member of Labour’s National Executive Committee (NEC). Willsman, an ally of the party’s leader Jeremy Corbyn, questioned whether claims of anti-semitism in the party actually existed. The recording was made privately and Willsman made an apology after being confronted with the audio. “Not all of what I said has been accurately reported. But I accept that what I did say, and the way I said it, fell short of the requirement, which I accept, for discussions of contentious issues to be conducted in a fully civil and respectful way. I deeply apologise for any offence caused to those present and those to whom my remarks were reported”. “For the avoidance of doubt: Peter Willsman is and always has been a loud mouthed bully. He disgusts me”. Jeremy Corbyn, the Leader of the Labour Party, has yet to comment. 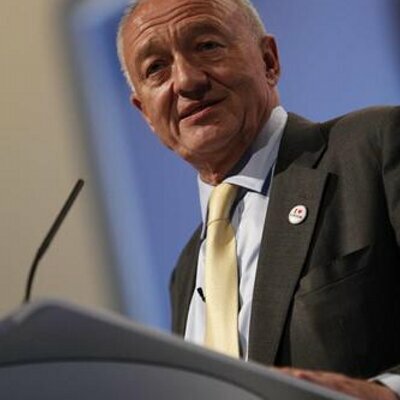 Ken Livingstone, the former Mayor of London, has quit the Labour Party following on-going disciplinary action. Livingstone said that he did not though accept comments he made were anti-semitic, although he apologised for any offence caused. “After much consideration, I have decided to resign from the Labour Party. We live in dangerous times and there are many issues I wish to speak up on and contribute my experience from running London… from the need for real action to tackle climate change, to opposing Trump’s war-mongering, to the need to end austerity and invest in our future here in Britain. I do not accept the allegation that I have brought the Labour Party into disrepute – nor that I am in any way guilty of anti-Semitism. I abhor anti-Semitism, I have fought it all my life and will continue to do so. Under Labour’s new general secretary I am sure there will be rapid action to expel anyone who genuinely has anti-Semitic views. 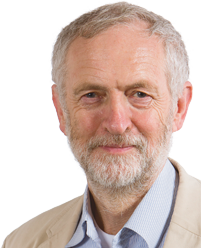 I am loyal to the Labour Party and to Jeremy Corbyn. However any further disciplinary action against me may drag on for months or even years, distracting attention from Jeremy’s policies. We desperately need an end to Tory rule, and a Corbyn-led government to transform Britain and end austerity. I will continue to work to this end, and I thank all those who share this aim and who have supported me in my own political career”. “It is very difficult to see that any rational decision-maker in the light of what has happened in the last two years could find a place for Mr Livingstone in our party at this moment”. Jeremy Corbyn, the Leader of the Opposition, has been criticised by the Chief Executive of the Holocaust Educational Trust as being “mocking and disrespectful” after meeting with Jewdas, a left-wing Jewish organisation. A number of Labour MPs have also criticised Corbyn for not going to meetings with Jewish groups who had said they were concerned about the party’s direction. “This is deliberately baiting the mainstream Jewish community days after they pleaded with him to tackle antisemitism. And he must know that meeting them now will give his members the message that the group’s extreme views are OK. Irresponsible and dangerous”. “Corbyn’s attendance at the Jewdas seber reads as a blatant dismissal of the case made for tackling anti-Semitism in Labour”. Jeremy Corbyn is yet to comment on the allegations, but his office said that his visit was made in a personal capacity and not an official one. Jeremy Corbyn, the Leader of the Opposition, has been criticised for anti-semitism after he called for a mural to be kept which was anti-semitic. The mural, entitled ‘Freedom of Humanity’, was removed from East London in 2012. “Why? You are in good company. Rockerfeller [sic] destroyed Diego Viera’s mural because it includes a picture of Lenin”. “I asked the Leader’s Office for an explanation about this Facebook post first thing this morning. I’m still waiting for a response”. “I sincerely regret that I did not look more closely at the image I was commenting on, the contents of which are deeply disturbing and anti-Semitic”. Berger responded by saying that Corbyn’s response had been “wholly inadequate”. “Jeremy would never have defended racist imagery aimed at any other group”. Jeremy Corbyn, the Leader of the Labour Party, is under pressure today to comment on the decision of the party not to expel Ken Livingstone. The party’s disciplinary panel decided yesterday to suspend the former London Mayor for one year, despite Livingstone himself expecting to be expelled. “I find it incomprehensible that our elected lay members on the disciplinary panel found Ken Livingstone guilty of such serious charges, and then concluded that he can remain a member of the Labour Party. When I read the words of chief rabbi Mirvis, who says that ‘the Labour Party has failed the Jewish community, it has failed its members and it has failed all those who believe in zero tolerance of anti-semitism’, I can’t disagree with him. I wish I could, but I can’t. I am ashamed that we have allowed Mr Livingstone to cause such distress. My party is not living up to its commitment to have a zero tolerance approach to anti-semitism. I will continue the fight to ensure that it does, and I will press my colleagues to do so too”. “Do I stay in the party? It is something that I’m going to reflect on very seriously. I am very upset with the party’s attitude. I do not believe there has been a zero-tolerance policy towards antisemitism”. Jon Ashworth, the Shadow Health Secretary, Barry Gardiner, the Shadow International Trade Secretary and Sir Keir Starmer, the Shadow Brexit Secretary, have all today said that Livingstone should have been expelled. “I expect to be expelled, I always have done, because the national constitutional committee has got 10 right-wingers and two left-wingers. If I am expelled from the Labour party, we will seek judicial review, but we won’t submit that until after the local elections are over”. “He has a seemingly consistent need to calibrate his language to cause maximum hurt and pain to Jewish people and Holocaust survivors in this country has created a situation where there can no longer be a place for him inside our party”. Naz Shah, the Labour MP for Bradford West, has resigned as the PPS to John McDonnell, the Shadow Chancellor of the Exchequer. Her resignation comes after suggestions were made that she may face suspension from the Labour Party. The MP’s posts, made on Twitter two years ago, were noticed by the Guido Fawkes blog and add to the allegations that Jeremy Corbyn, the Leader of the Opposition, isn’t doing enough to tackle anti-antisemitism in the party. “These harmful words echo the acts of hate and intolerance we as a country have always stood against and for them to come from a Member of Parliament about to conduct an inquiry into the rise of anti-Semitism is outrageous. I would urge Labour leader Jeremy Corbyn to take immediate action”. 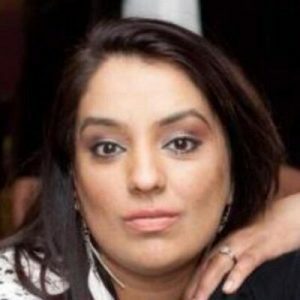 “Naz Shah has appeared to have out done George Galloway in sheer spite and loathing. Her sitting on a Home Office inquiry into antisemitism means she will bring her own personal expertise to the Committee. If it weren’t so tragic, it would be laughable”. The MP is also expected to stand down from the Home Affairs Select Committee which is currently discussing how to tackle antisemitism. The Telegraph has reported that two of her colleagues on the committee believe she should stand down. “I deeply regret the hurt I have caused by comments made on social media before I was elected as an MP. I made these posts at the height of the Gaza conflict in 2014, when emotions were running high around the Middle East conflict”.